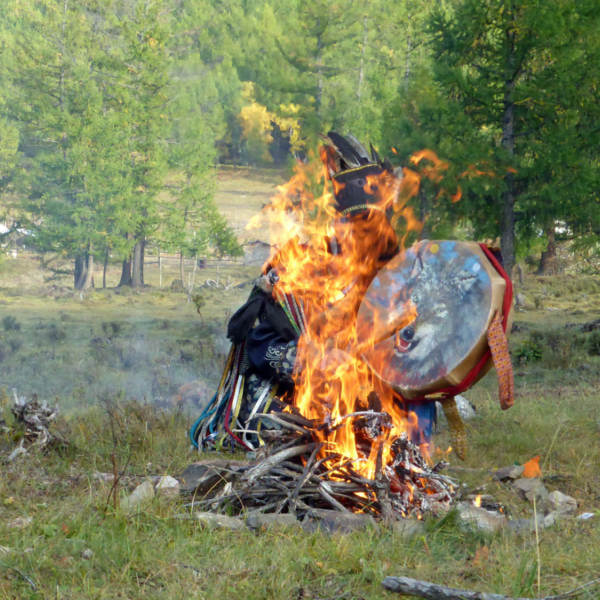 This expedition style trip is the best way to get acquainted with Mongolia and the different aspects that make up the traditional Mongolian ways of life. 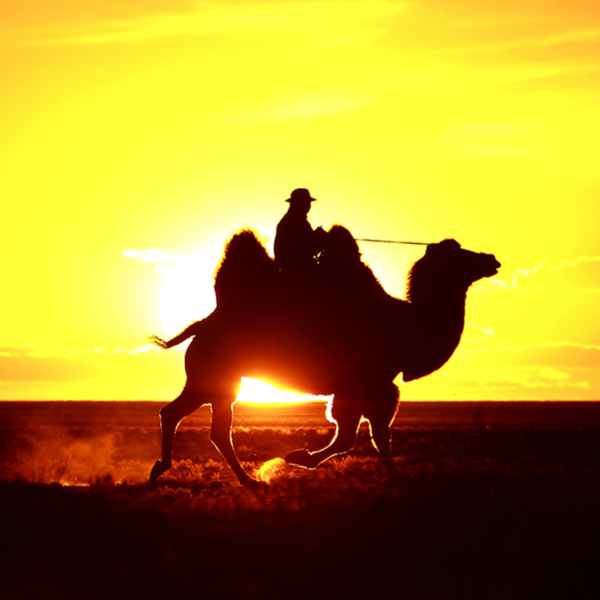 We start in the Gobi desert, then head north to an area known to the Mongolians as “the paradise of the horse herders”. The trip finishes up on the shores of Huvsgul Lake, one of the world’s largest freshwater sources. Our first stop of the day would be at the place known to westerners as The Flaming Cliffs. Bayan Zag (Rich with Saxaul) is famed for its red sandstone cliffs which take on beautiful red and orange hues during sunset. The area is also recognized as one of the world’s largest dinosaur graveyards. In 1921, the American Roy Chapman Andrews discovered here some of the most important Paleontological findings of the last century. After a short hike through the red sandstone cliffs, we take a long drive out of the desert. In the afternoon we arrive at Ongi Monastery on the bank of the Ongi River- the Gobi’s largest river. Though nowadays monastery is rather small in size, the site’s name refers collectively to a cluster of monasteries, temples, and Buddhist universities that were established here in the 18th and 19th century, and served as one of the largest Buddhist canters throughout the country. Like most religious institutes in Mongolia, the entire complex has been destroyed during the anti-religious purges of the 1930’s, led by the communist party. It is believed that some 200 monks were executed during these purges, and the surviving monks were forcibly conscripted to the Mongolian People’s Army. In recent years, efforts made by the local communities, and by the religious institutions of Mongolia have resulted in the reconstruction of the main stupa, and the first temple has been inaugurated back in 2004. As we arrive in the camp, we take a hike to one of the many hills surrounding the area, for a view over the historic ruins, and the beautiful plateau. Overnight in a ger camp. Today we reach the Mongolian steppes. Here there is a great variety of birds of prey, including eagles and falcons, constantly on the watch for a meal. As we drive up north, the scenery would gradually change from arid steppes to the fertile green grasslands typical to the Khangai Mountains, Mongolia’s second largest mountain range. After lunch we head into an area dominated by volcanic scenery, which takes us along the Orkhon River Valley. A UNESCO World Heritage Cultural Landscape, the valley has served as the center of several kingdoms and empires that ruled much of Central Asia for centuries. The UNESCO committee states: “Collectively the remains in the site reflect the symbiotic links between nomadic, pastoral societies and their administrative and religious centres, and the importance of the Orkhon valley in the history of central Asia.” (UNESCO website). Late in the afternoon we arrive at a beautiful vantage point over the Orkhon River, where we spend the night. Overnight in a ger camp. Built by Ghengis Khan about 800 years ago, Kharkhorin, better known as Karakorum, was famed throughout Asia as the capital of the Mongol Empire. Within the walls of this spectacular city, kings were chosen, laws made, and the fate of the next city to be conquered were determined. We will visit the ruins of the old city, the Erdene Zuu monastery, and other historical monuments in the area for as long as time permits. In the afternoon we leave this historical site, as we go on to the region the Mongolians call the ‘paradise of the horse herders’ due to its lush grasses and open valleys. We drive through thick pine forests to the Tsenkher hot springs, where water flows out of the ground at about 80°C (176°F), and where we can enjoy a relaxing soak. Overnight in a ger camp by the hot springs. We spend this day hiking to the top of Khorgo Volcano, for a view over its perfect crater. From here we also enjoy a view over the vast lava fields that dominate the surrounding landscapes. Reaching the top of the volcano we continue our hike through basalt fields studded with pine trees. En route we stop at the Yellow Dog Cave, an interesting volcanic phenomenon, and we then end our hike at a pilgrimage site on the shores of Terkhiin Tsagaan Lake. Late in the afternoon we drive north on one of Mongolia's most beautiful routes, as we cross high mountain passes, vast grasslands, and small creeks. 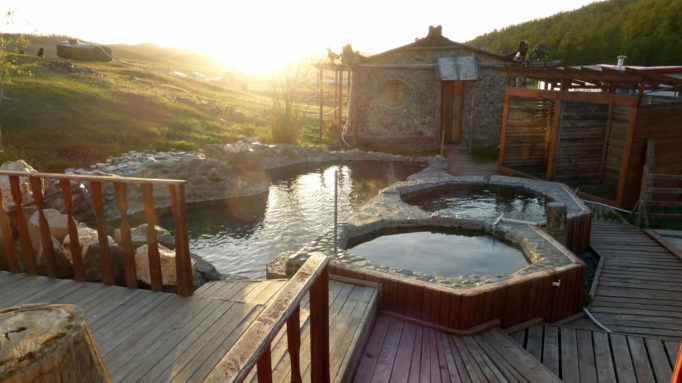 We end the day at Jargalant Hot Springs in the mountainous region of Khuvsgul, where we spend the night in a ger camp by the hot springs. As we head north, we pass through the town of Murun, the provincial capital of Khuvsgul. A short while later we arrive at an ancient burial site, featuring Mongolia’s mysterious deerstones. These memorial stones represent important leaders and warriors, carved with deer motifs. After visiting the site, we continue our trip northwards. One of the world's largest fresh water sources, Lake Khuvsgul and its amazing surroundings are home to several of Mongolia’s ethnic minorities, among them are the Tsaatan, or better known as the reindeer people. The protected area surrounding the lake is a refuge for a wide variety of wildlife. We arrive at the lake’s shores late in the evening, and check in our ger camp for the night. Today we take a horseback riding trip through the forests and meadows near the lake. Lying around 1650 meters (5413 feet) above sea level, and surrounded by mountains that rise over 3100 meters (10170 feet), the waters of Khuvsgul are deep and spectacularly clear and pure. We will ride through thick pine forests carpeted with flowers, and explore the setting of Mongolia’s ‘Blue Pearl’. Overnight in the same ger camp by the lake’s shore. After an early breakfast in our camp, we drive back to Murun, taking the first available flight to Ulaanbaatar. Upon arrival, we meet our driver and guide, and embark on the one and a half hours’ drive to Gorki-Terelj National Park. The park features unique rock formations, scenic valleys, a winding river, and restful groves of trees. Many nomads live in the park itself, where they find good grazing for their animals. If time permits, we will take a short hike to a nearby hill, from which we watch the sun sets over the park (weather permitting of course). We will spend the night in a ger camp in the park.